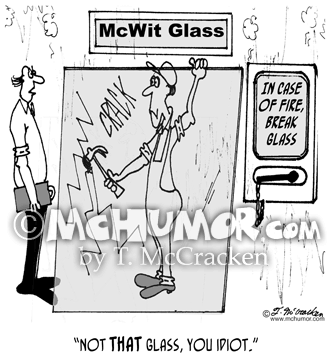 Window Cartoon 4249: A man yelling at another who has broken a plate-glass window next to a little box "In case of fire, break glass," "Not THAT glass, you idiot." 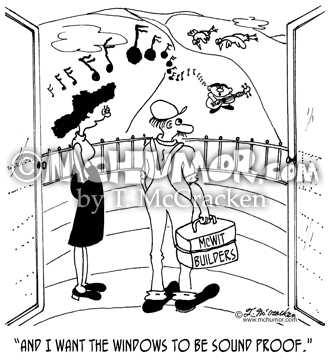 Window Cartoon 6321: A woman with an off key serenader below her balcony says to a glass installer, "And I want the windows to be sound proof." 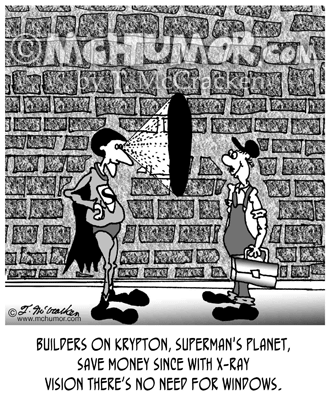 Window Cartoon 2408: A man holding a jagged piece of glass stands in front of a window that's broken in the same jagged pattern. 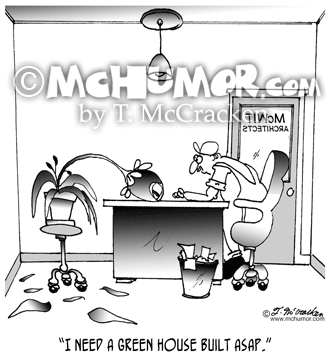 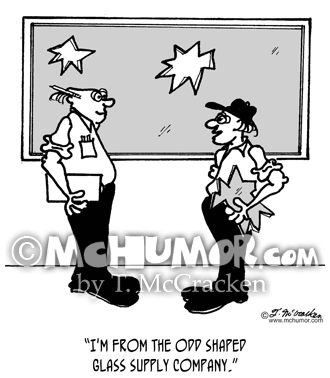 He explains, "I'm from the odd shaped glass supply company." 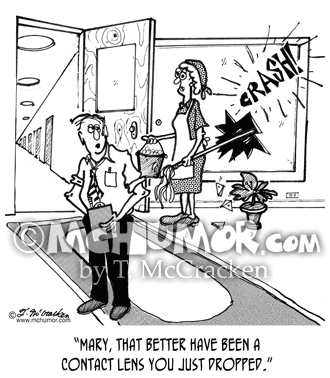 Cleaning Cartoon 2106: A cleaning woman accidentally breaks a window with her mop. 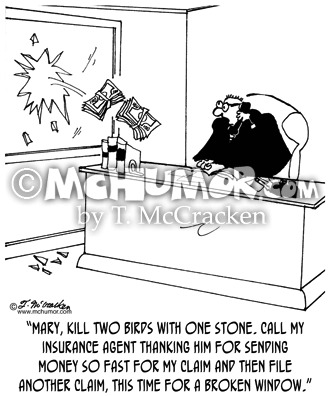 His back turned to the scene, but hearing the huge crash someone says, "Mary, that better have been a contact lens you just dropped." 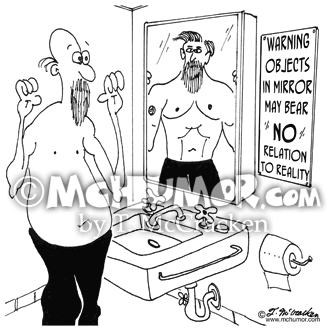 Mirror Cartoon 7125: "Warning. 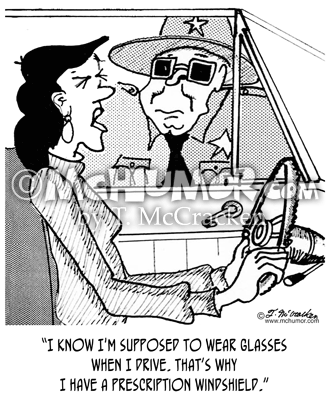 Objects in mirror my bear no relation to reality." 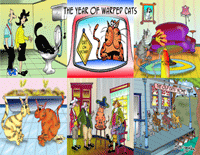 A flabby man looks into a bathroom mirror and is reflected back as a hunk. 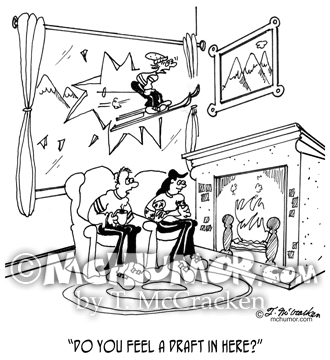 Skiing Cartoon 5699: A man at fireplace in a ski lodge, not seeing that a skier has crashed through a plate glass window asks another, "Do you feel a draft in here?"